Kaia got this idea from some friends of hers…. 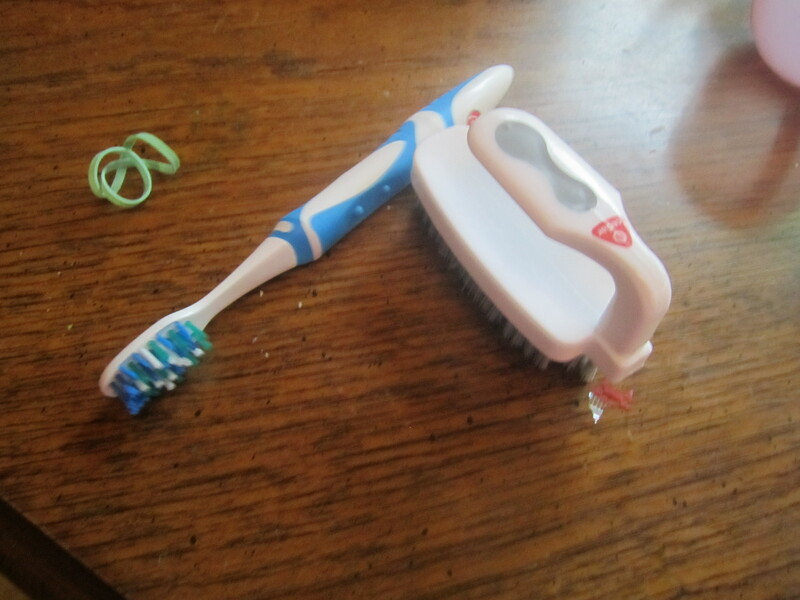 all you really need is a vibrating tooth brush, a nail or vegetable brush, and a rubberband. 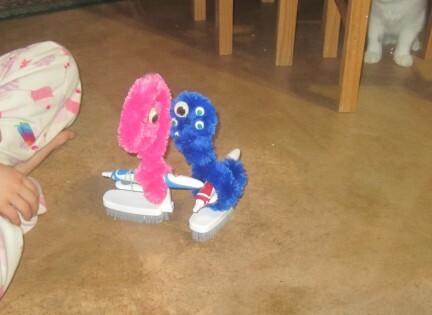 But, it’s even more fun if you decorate a bit with giant pipe cleaners and googly eyes. Just rubber band the toothbrush to the nail brush, turn it on, and GO! This is way too cute not try it with my kids!!! FUN written all over it!